Facebook has started spreading the news with the debut last week of FB Newswire. The social media network has long been a place where people share news, but now FB Newswire will expand that news nexus worldwide to highlight hand-chosen and journalist-verified news stories from the entire Facebook platform. FB Newswire will focus on both the breaking and the groundbreaking news stories from across the globe in an effort to turn Facebook into everyone’s digital daily newspaper. Mashable.com posted details on how the social site is striving to deliver all of the news that’s fit to post. Powering FB Newswire will be a partnership with Storyful, which is a news agency with three offices worldwide that aggregates news content shared on social media networks. The agency will use an algorithm to find the most popular and breaking news stories on Facebook in categories such as sports, entertainment, politics, and technology. FB Newswire will cover news all over the world, yet the emphasis will be on quality rather than quota, so there will be no set number of stories published each day. Yet in a unique union between high-tech and human factors, Storyful’s team of journalists in each office will work to verify the chosen stories shared over social media prior to posting them on FB Newswire. The fact that this partnership will use actual people to fact-check and follow up on the news content is a nod to the enduring value of good old-fashioned journalism in our tech-centric times. FB Newswire differs from the News Feed in one major way. While the News Feed offers a more personalized newspaper experience based on the user’s individual interests, FB Newswire provides a more globalized view of news and features front-page stories instead of social page snippets. Facebook users can subscribe to the new feature by simply liking the FB Newswire Page. Then, these global stories will appear in their News Feeds. While Facebook launched FB Newswire to become the preferred platform for breaking news for its users, it’s also a move to stay competitive with the real-time power of Twitter in the world of headline news. FB Newswire will be available to every Facebook user, but the company will specifically target journalists and will position the service as a trusted source for complementary content that will help them report the whole story. Interestingly, Facebook will also release a Twitter handle for the service called @FBNewswire. FB Newswire is only the latest of Facebook’s recent efforts to enhance its newsworthiness. In addition to allowing publications to embed posts within stories last summer, the social media site rolled out a trending topics feature next to the News Feed earlier this year. The impressive results tell the story, with referral traffic to news and publishing sites quadrupling in 2013. Now that FB Newswire has launched, the industry is watching to see whether the service will bring good news for Facebook. 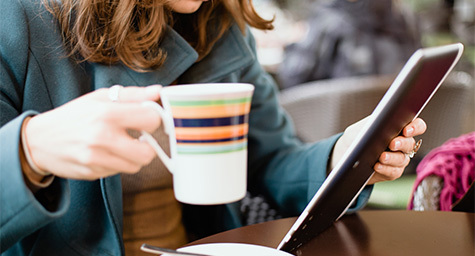 Discover what’s new and what’s news in social media. Contact MDG Advertising today at 561-338-7797 or visit mdgadvertising.com.